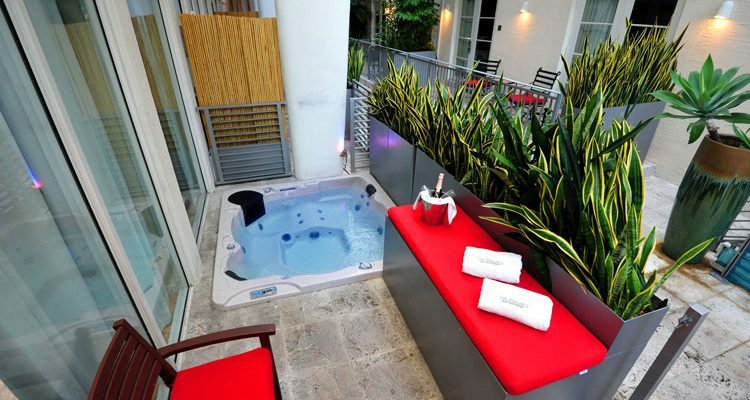 We stayed at the Angler’s Boutique in South Beach Miami in October, we couldn't have wished for a more perfect spot. It was a secret hideaway from all the hustle and bustle of South beach. It has recently become a Kimpton Hotel which is always of a great standard. We stayed in a pool side villa for 2 nights. We were taken straight to our room to check in which was ideal after an early start, and it was quick and efficient. The villa was 2 floors with the bedroom upstairs, and a full bathroom on each level, both overlooking the pool. 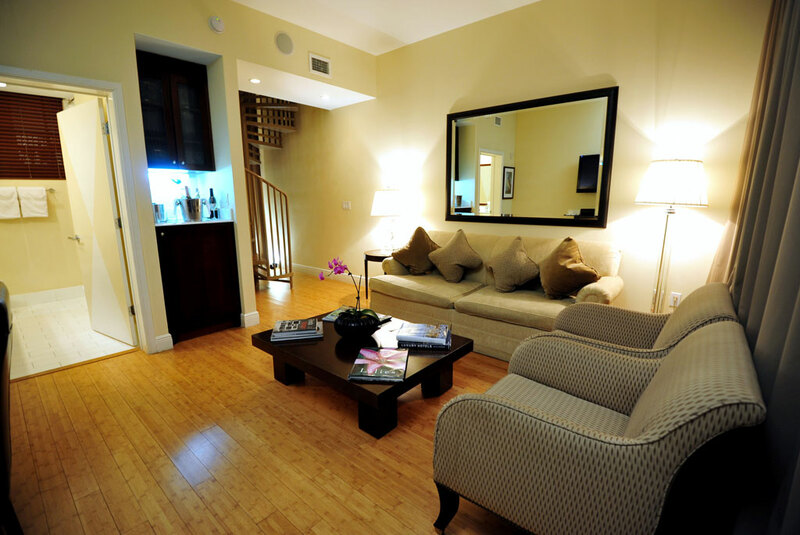 It was clean, modern, comfortable with everything you could wish for – robes, slippers, toiletries and free WIFI. The room was cleaned each morning and there was a turndown service too, which is always nice. We had our own entrance so no trailing along corridors and in lifts as in a larger hotel. We didn't experience any noise from other rooms as the villa was detached so it was great for a lie in with black out blinds. We found all the staff at the hotel very helpful, they valet parked the car, ordered taxis, recommended restaurants and service was generally very welcoming. The hotel was only 2 blocks to the beach and you could walk to most places of interest, it was always a relief to get back to the quiet zen-like garden at the hotel to relax. The pool was only small but at night was lit up beautifully with stars projected onto it quite a unique touch, you could sit around the pool but as it was a boutique hotel it was only a small area. We had hired a car so we used this to travel out of the city to the malls, Dolphin Mall is an outlet mall very near to the airport so this one is handy en route to the airport and has some great bargains. Aventura mall is further north, still only a 40 minute ride and has every store you can think of. The valet parking at the hotel was quite pricey ($32 a day) and on the Sunday morning we had to wait almost 30 minutes for the car – they seem to park them a little way away so make sure you make your request in plenty time, they were prompt however the following morning when we had an early flight. Having stayed right on the beach in South Beach previously at The Tides Hotel, we much preferred being a few minutes walk away from the noise, and it can get a bit rowdy later on, it’s a real party place. Breakfast was great and not badly priced at the hotel, and it was served in the garden area, which was very calm after a late night. We had a couple of cocktails at the bar too which were well served and average prices. There are a couple of good restaurants within a 2 minute walk from the hotel, we tried Tongue and Cheek which was excellent, like a gastro style pub, very modern and trendy feel. Miami’s nightlife is legendary. 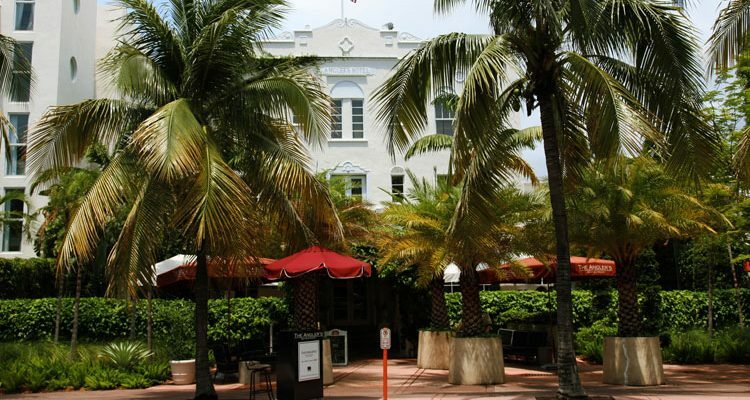 On South Beach, popular spots include Mynt and LIV. Downtown clubbers head for Space, Grand Central or Bardot. Lose yourself to swirling lights and house music or catch a live act. One tip: Call ahead to get your name on a guest list so you’re not stuck standing in line. Then put on your dancing shoes and explore Miami’s night clubs! For some Latin flair, try out Hoy Como Ayer, La Covacha or Yuca. 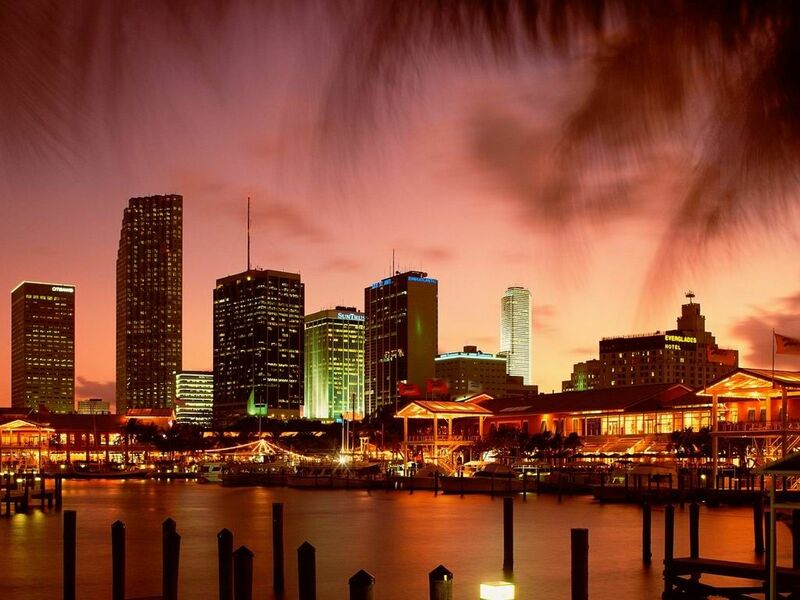 Miami nights are full of possibilities.